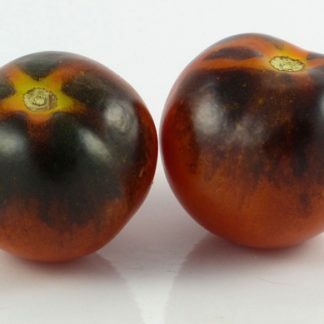 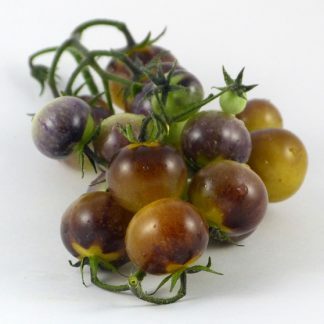 “Amethyst Cream” is a beautiful cherry tomato with a near-translucent appearance at the bottom of the fruits, capped by inky purple anthocyanin. 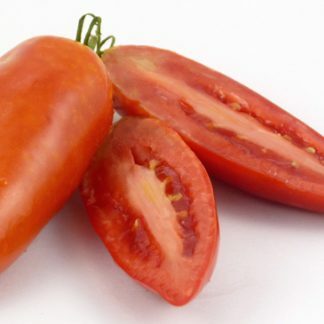 I found it to be a little more tart than sweet, and very juicy. 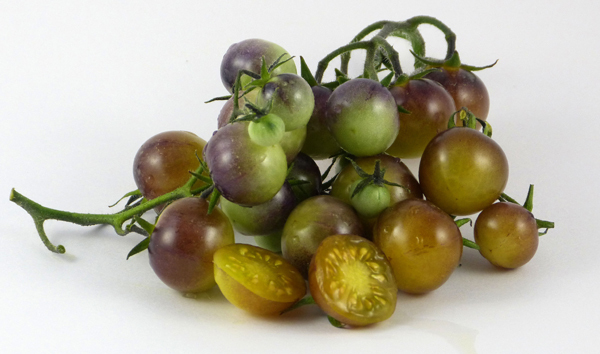 I did like the flavor better than Blue Goldberry, but both were prolific and tasty. 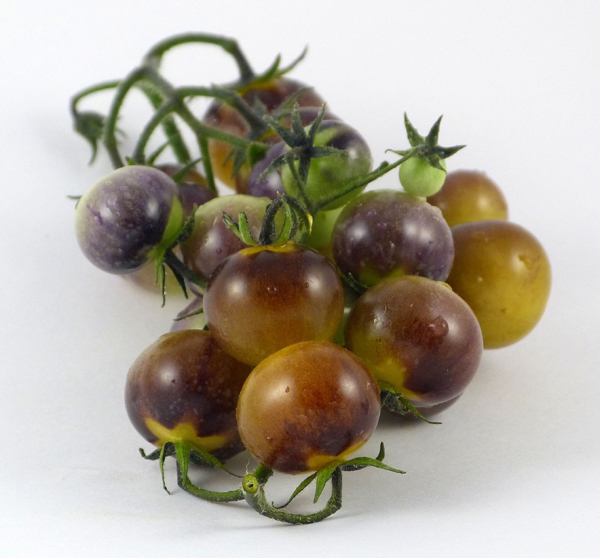 Amethyst Cream is a creation of Brad Gates of Wild Boar Farms.